Hi friends! I hope you are doing well! I just got off two really busy weeks. First, we went on vacation then I came back and helped with a baby "sprinkle" for my bestie. It's been keeping me super busy! Today, I wanted to share some pictures from the party with you. I didn't get a chance to do as much as I would like but it still turned out super cute! 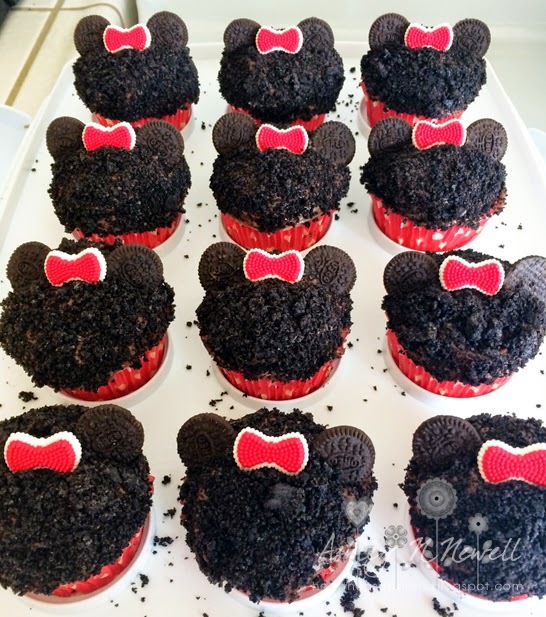 Here are the Minnie Mouse cupcakes I made. I got the cupcake liners at Michael's and the bows at Target. I saw a Mickey Mouse like this on Pinterest and adapted the idea. 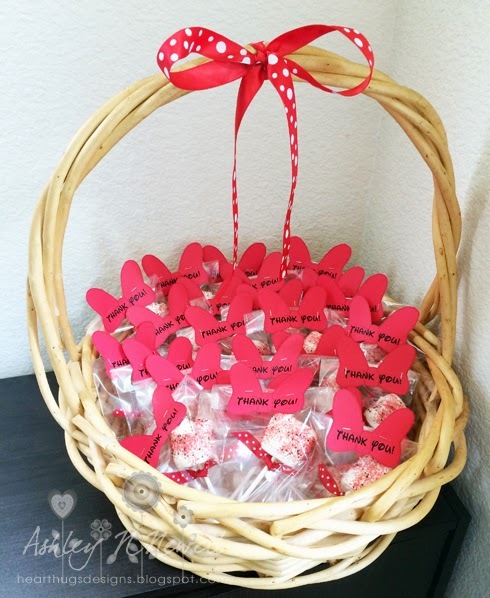 This is the basket of party favors that I made. I just put some ribbon on a basket. Here are the party favors. I made baby rattles using dipped marshmallows and regular mini marshmallows. I used a printable from The Lovebug Blog for the Minnie bows and hubby put text on them in Photoshop for me. I used tiny favor bags and a tiny attacher. 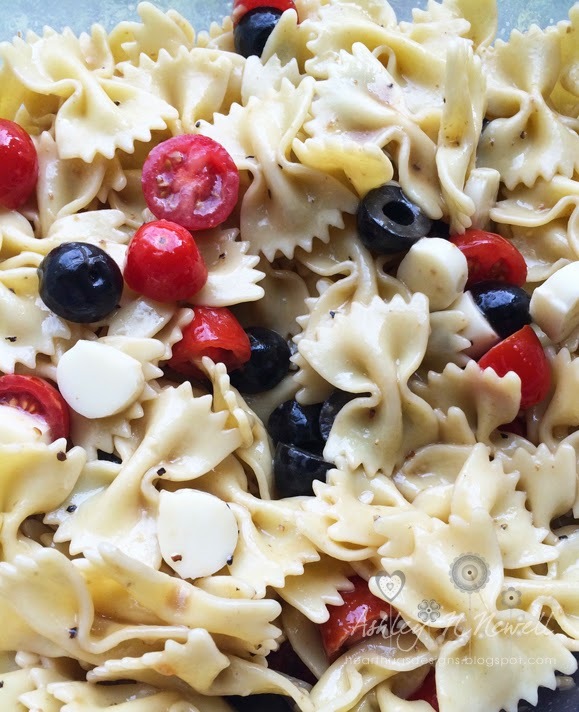 I made up a special recipe for the party, Minnie's Bows and Dots pasta salad. It's bow tie pasta, tomatoes, black olives, and string cheese. I dressed it with a balsamic vinaigrette. 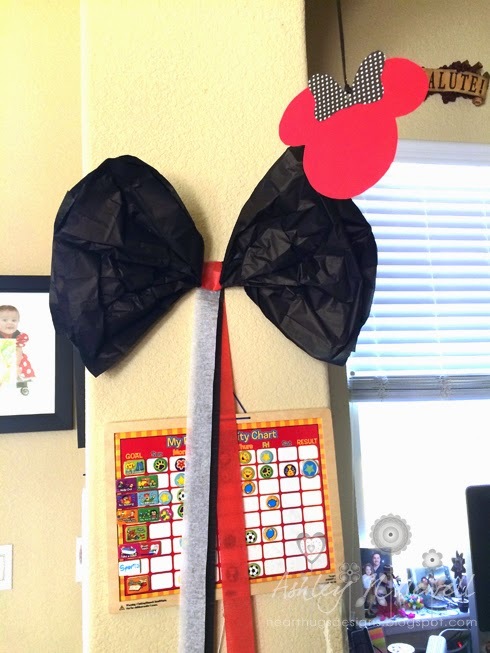 I made bows similar to the ones I saw on The Lovebug Blog. 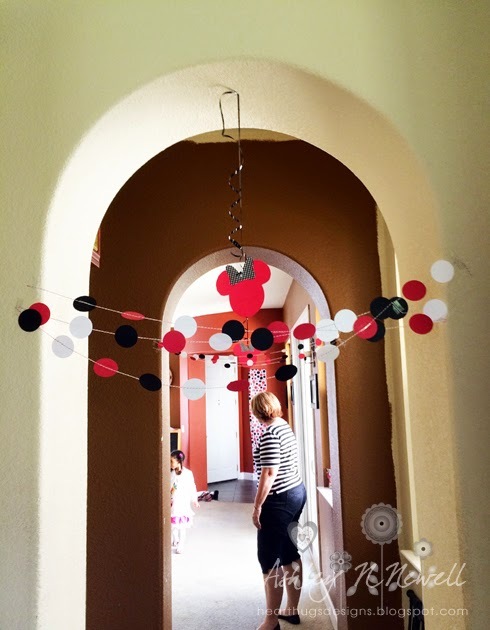 I made these garlands from punched card stock and Divine Twine. My friend Karen made this GORGEOUS beverage bar. Aren't her Minnie Mouse decorations SO cute?? 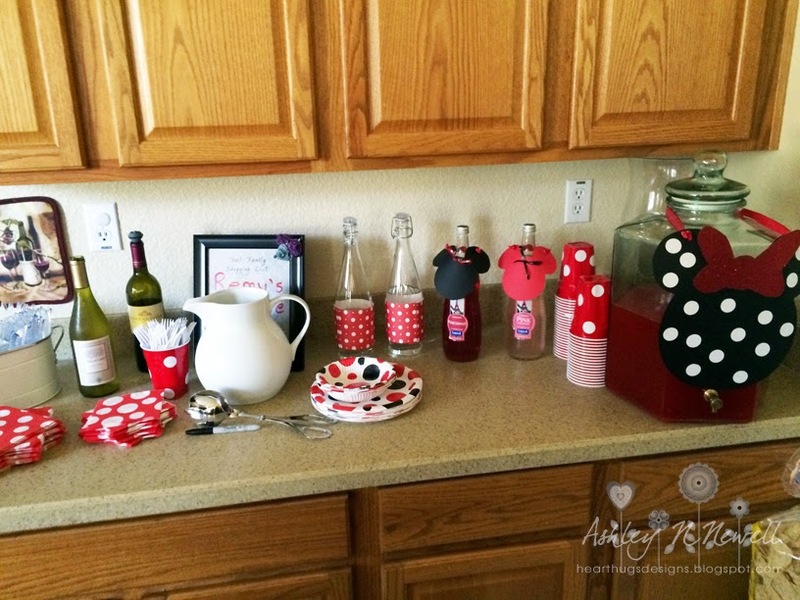 She even decorated the red solo cups with little white dot stickers to make them look like Minnie's dress. 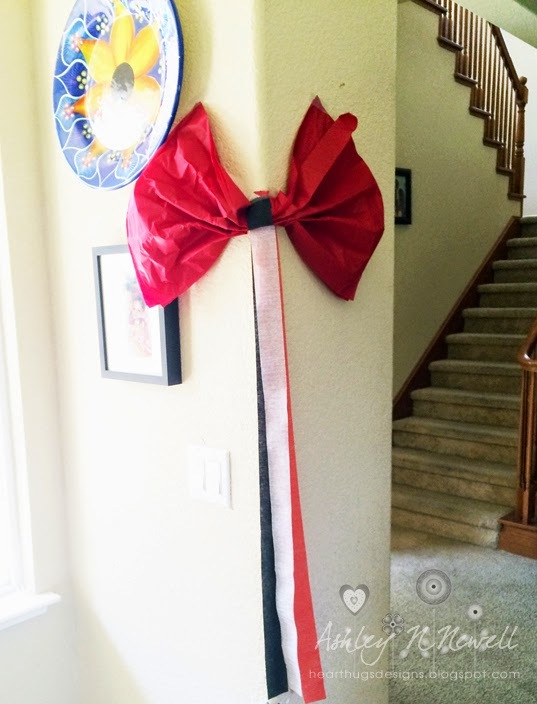 She also made the hanging Minnie Mouse heads on the ribbons that you see on the other pictures. Hope you enjoyed a look into this special party! Have a great day, friends! What a lucky friend! This is a darling party! I love the pasta what a great touch. 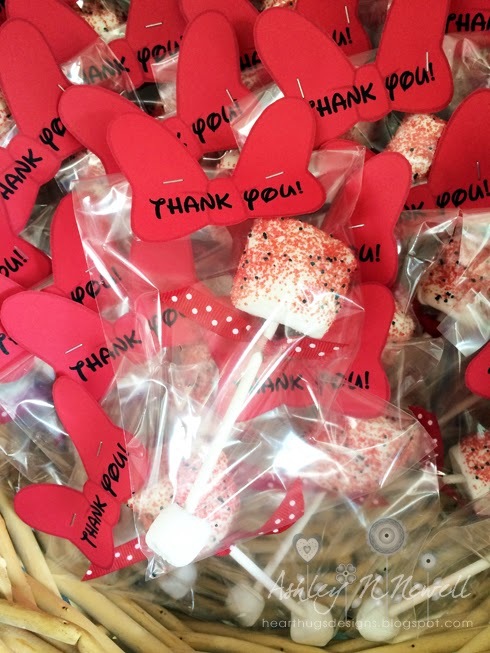 Thanks for stopping by my blog and leaving some love! It made my day. Hope all is well. Have a great week Ashley.